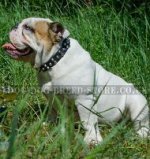 It is impossible to bring up and train a Bulldog puppy or an adult Bully right and without mistakes for a beginner in dog breeding and training. That's why the best variant of Bulldog training for the beginner is step-by-step self-teaching and stage-by-stage dog education. You won't know and remember everything at once. You'll face the problems of Bulldog's behavior while it's growing up or adult Bulldog training. As soon as the dog's behavior disturbs you, it's high time to correct it at once. You can bring up an obedient Bulldog, which doesn't disturb you, gradually if correct it's behavior in time. Try to work correctly, otherwise the process of Bulldog training won't be fruitful. This may drag out your expectations much or do harm to your Bully. Take it easy if you have a young or grown-up Bulldog and you have already made mistakes described below, the main thing is not to repeat them. If you take on the dog's education seriously from now and train it right, it doesn't matter how old or big your Bulldog is, the most important you'll have no problems with your pet. 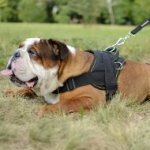 And now you're welcome to look through the most common mistakes in dog training attentively according to Bulldog puppies and grown-up Bulldogs. 1. Punishment when calling up the dog. It's enough to punish your Bully once when it comes up to you (when you use the command "Come" and when the dog comes up without a command), and your Bulldog may refuse to come up to you forever even when sees the most delicious dog treats. Remember: never punish your Bulldog when it comes up to you! 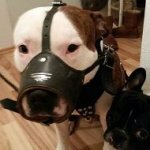 If there is a reason to punish your Bulldog, never punish the dog after it has come up to you (even if you didn't call it)! 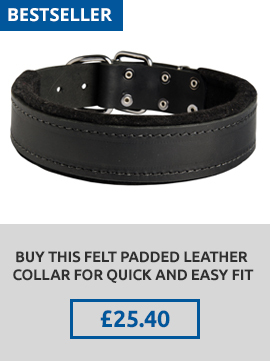 As soon as the Bulldog came up to you, forget about punishment. It doesn't worth to praise the dog if it comes up to the owner, but to punish the dog is fraught with consequences! It's very important. No matter what your Bulldog puppy or adult Bully does (even if it bites somebody), it's forbidden to punish it when the dog comes up to you (with or without your call). It's better to train your Bulldog to run the command "No". 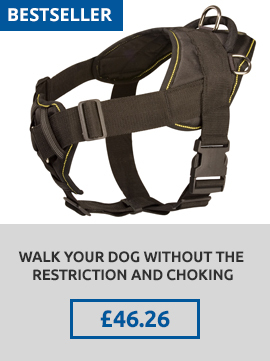 Thus you may forbid the dog to do anything at any distance. It doesn't matter why your Bulldog comes up to you, at a command or on its will, forget about punishment. The situation may repeat and you will have an opportunity to punish your trickster. There is nothing wrong in a passed punishment, it's not critically. 2. Bad or poor nutrition. Unfortunately, many Bulldog owners feed their dogs with food they eat themselves. 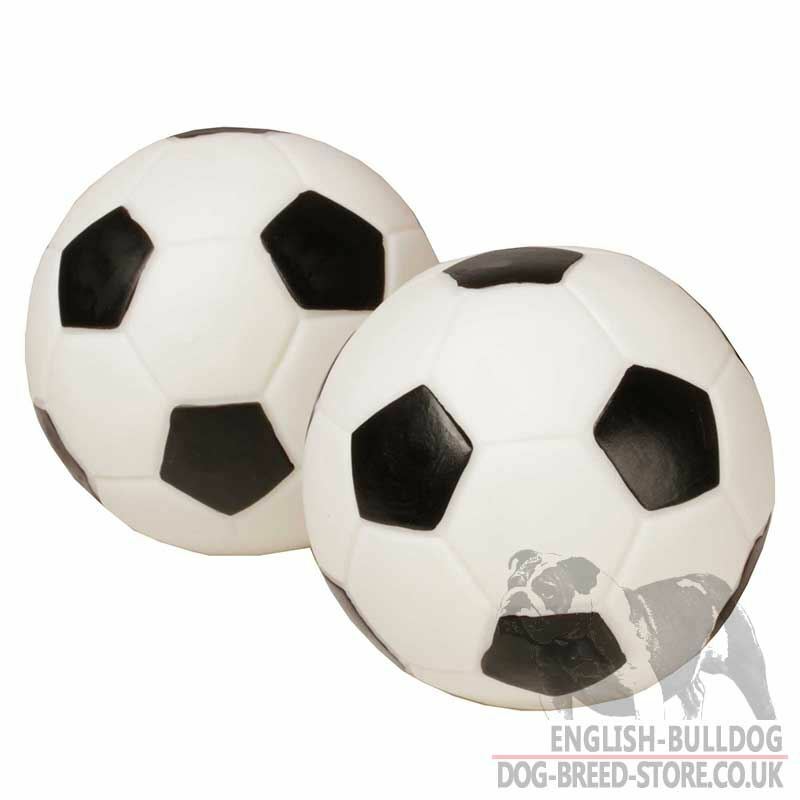 But there is wholesome nutrition that influences much on Bulldog's development. Some experience Bulldog owners take second best Bulldog puppies by sight and then grow up the best Bulldogs thanks to healthy feeding. Of course, the matter is not only in good nutrition, but 70% of the secret is in complete ration. - start with completing a balanced ration. It will be not so easy at once, but you can always learn specialized literature, consult with experienced vets and Bulldog breeders. Learn step-by-step and you'll reach a success. 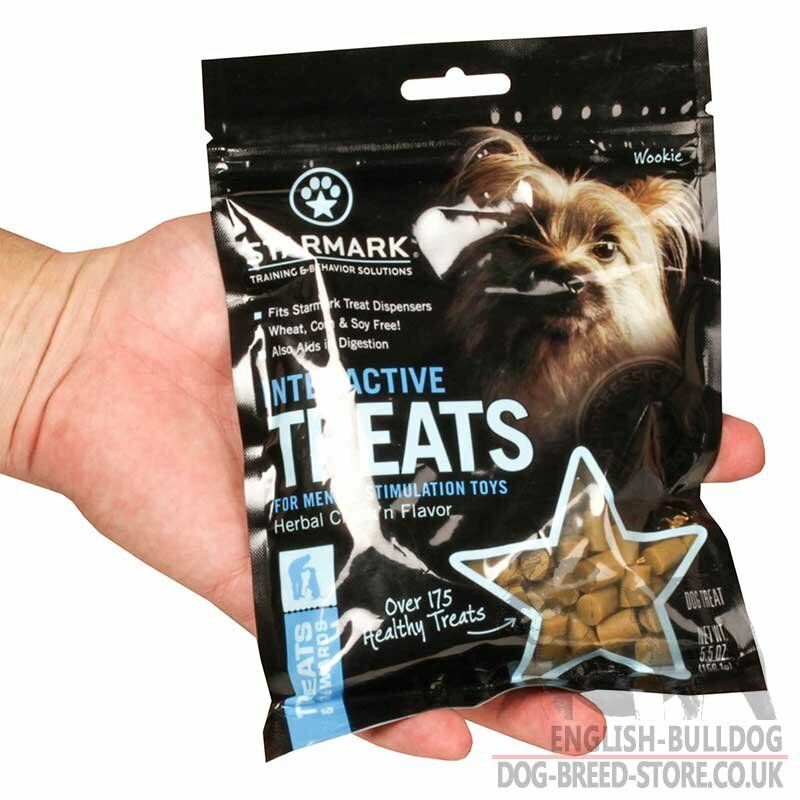 - there are many opinions how to feed Bulldogs (dog kibble or natural food). It depends on your Bulldog's health what type of feeding you choose, but nevertheless it should be well-balanced. - not all the products are acceptable for Bulldog nutrition, some of them are forbidden for dogs. 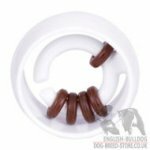 - vitamins are important for Bulldogs, but not only those ones you can buy in a vet, but also well-balanced ration is of importance. 3. Mistakes in dog toilet training. 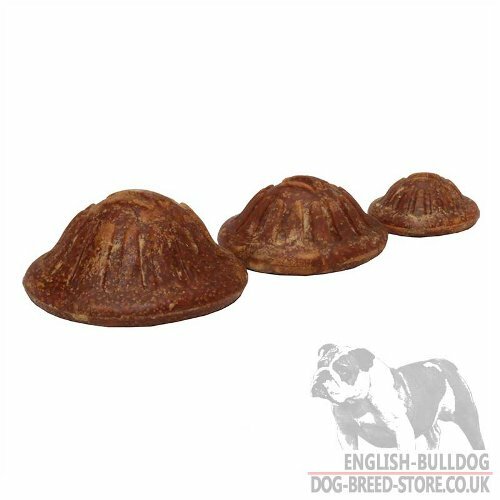 The most common mistake of Bulldog handlers is in dog toilet training. The majority of owners believe that Bulldog can be trained to do its deeds in a certain place only if rubbed its nose into them. Please, never do this. There are many ways of dog toilet training. When you rub your Bulldog's nose into its droppings, you try to show the dog using this unpleasant method where its toilet is. But the Bulldog puppy understands this action differently. This is absolutely ineffective method. The puppy will be trained to a toilet against its own will. It's much faster, effective and humane to train your Bulldog to a toilet with other methods. 4. Lack of behavior training. 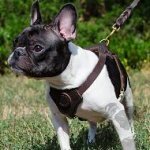 You have to train your dog seriously to make your Bulldog be obedient, easy-going and faithful to you. 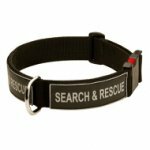 You'll put yourself to a lot of trouble without proper dog behavior training. It's better to train your Bulldog in a group, but you can also teach it basic dog commands by yourself. Dog upbringing is another one important point. This is dog behavior correction. You have to lay down your own rules as soon as the Bulldog appeared at your home. Don't bypass your Bulldog training, retraining will be three times longer. 5. Mishandling in a certain situation. Puppy or adult Bulldog jumps on you or your guests, chews your things, picks up garbage from the ground or shows its teeth and you don't know what to do? These small troubles should be solved immediately. Your Bulldog will never become a well-bred dog by itself. Solve any behavioral problem in time and you'll grow up an obedient Bulldog. 6. When you vent your anger on your Bulldog. Always control your emotions. If there is a reason to punish your Bulldog, do it. But the punishment should be an effective learning moment for your Bully and not to be a displacement of your anger. You should know how to punish your dog. If you aren't sure that it's reasonably to punish your Bully at that moment, it's better to miss the punishment and to do it when you're sure for certain. It's not a big deal in it, the main thing is to know how to act. 7. Mistaken punishment You can punish a puppy only at the moment when he did something wrong. It's useless to punish your Bulldog for a puddle or your chewed slippers when you come home after your work and the dog is asleep. It's even too late to punish the dog when it has scratched your wallpapers a moment ago and went do its own doings at once. You may punish your Bulldog only when you see your dog chewing something or breaks the piece. Otherwise it won't understand why you're angry. Punishment with no reason ruins your Bulldog's trust and this is bad for those, who grow up guard dogs. It's never too late to mend. 8. Too weak punishment or its lack. Punishment it's just as well when your Bulldog is guilty. Use it to teach, to show, to breed and not just to beat the dog. Not every dog can be trained without negative reward. Also, if punishment is too weak, it's not effective at all. There will be not enough motivation for Bulldog to do what you need. 9. Wrong punishment. 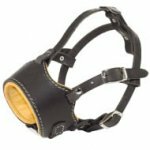 Bulldog is punished only with a spank to the buttocks and not to the muzzle or any other body parts. Don't use newspapers, slippers and other things for punishment. Otherwise, your Bully may bite them back when grows up. You may use only a training stick, which is useful when you train the dog not to pick up from the ground. In spite of common misconception, if the owner punishes the dog with its own hands, it will never revenge. The owner feeds, gives treats, strokes and plays games with the hands. Bulldog will love the owner's hands as well as the owner if these hands are associated with something good and pleasant. 10. Punishment every other time. If the owner trains the Bulldog to toilet, but is lazy to come up and punish the dog when it did a job, then the process of training will run over time. The same is with picking up from the ground. Use punishment always when you need, but not always physical one. It will be enough your strict "No" most often. 11. Excessive exactingness. Don't demand everything at once from your Bulldog. It will certainly habituate to toilet, won't pick up from the ground, will walk alongside of you. Everything will be like you want. You need to wait a bit and to work hard. All in due time. 12. Different training by family members. It's bad, when some family members treat your Bulldog when eat themselves and the other forbid the dog to scrounge. Some train Bulldog to bring a stick (or something else) under "Fetch" command, the other just throw a stick without a command. All the family members should act in concert when train their Bulldog if they want to receive quick, qualitative, sound result. 13. Insufficient walking. 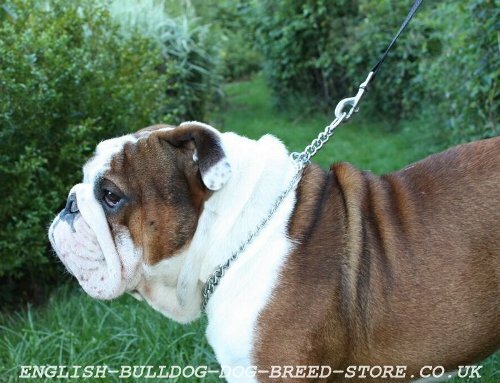 Many Bulldog owners are sure that there is no need to walk the dogs, which live in houses with yards. 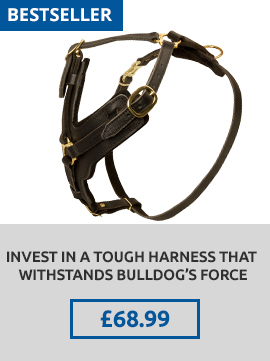 But even if Bulldog lives not in a flat, it steel needs to be walked!!! The dog is born to walk. Bulldog is not an exception, it just needs less physical exercises. 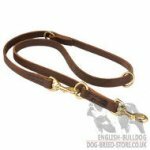 Medium physical activity provides good influence over Bulldog's health, strength, speed and response. 14. Absence of Bulldog's own place. It's better to organize the dog's place there where nobody will disturb it. Never mind if Bulldog fell asleep under your bed or in the center of the room. The main thing is that your Bulldog didn't deliver discomfort to you. 15. Overwhelming severity. You need to be severe, but you also have to control your Bulldog. Allow your puppy to do everything in your sight. 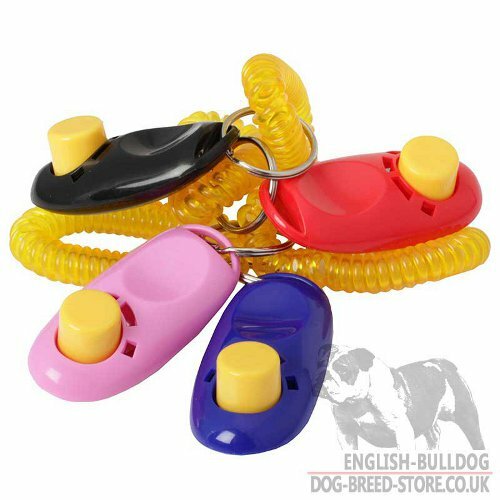 Your Bully can even lie on the bed, nibble your hands and disperse its toys. Everything mentioned above and many other things aren't bad, if don't disturb the owner and doesn't reflect upon the dog training. Moreover, excessive severity will turn your dog into a cowed animal. 16. Loneliness. Don't leave your Bulldog alone for a long time. The dog is a social animal and it's always afraid of separation with the owner, that he (she) will never come back. Try to entertain your Bulldog at most, spend with the dog as much time as it's possible. Temporary isolation is appropriate only in case of need. 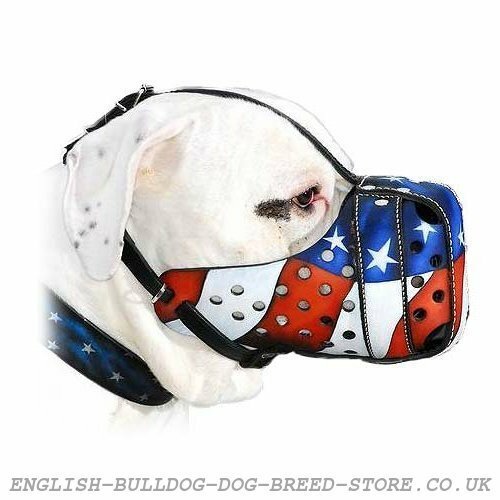 The Bulldog will run the commands eagerly if the owner has constant contact with the dog. 17. Grown-up Bulldog needs no games. 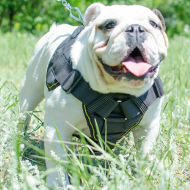 There are active games, which help to develop your Bulldog physically. Even adult Bulldog will play the game with great interest. Games give full physical development. You'll watch day by day how your Bulldog becomes stronger. 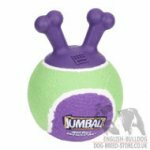 Don't overdo with physical exercises unless your Bulldog runs readily after the stick or the toy. Bulldogs Like to Play Games with Toys Even Being Adult! 18. Loose of close contact. The Bulldog will be ideally obedient if the owner establishes the contact with it. Close affinity between the dog and its owner is very important. It's very easy to establish this contact: spend much time with your Bulldog, train it and teach to run the commands, walk the dog, play with the dog. Your Bulldog will appreciate your care, it will feel itself the member of your family and will eagerly protect all of you. There are many mistakes, which Bulldog handlers make. 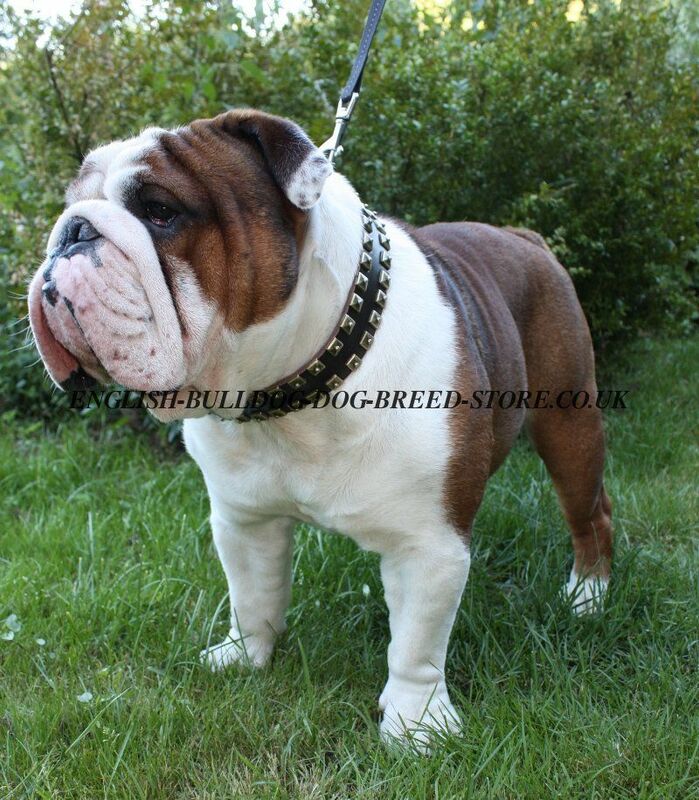 But it's only an experienced breeder or trainer, who can bring up Bulldog right at once. Take it easy, you'll train your Bulldog well, it's enough to work little by little, not to be lazy and solve the problems in time. Then everything will be great! 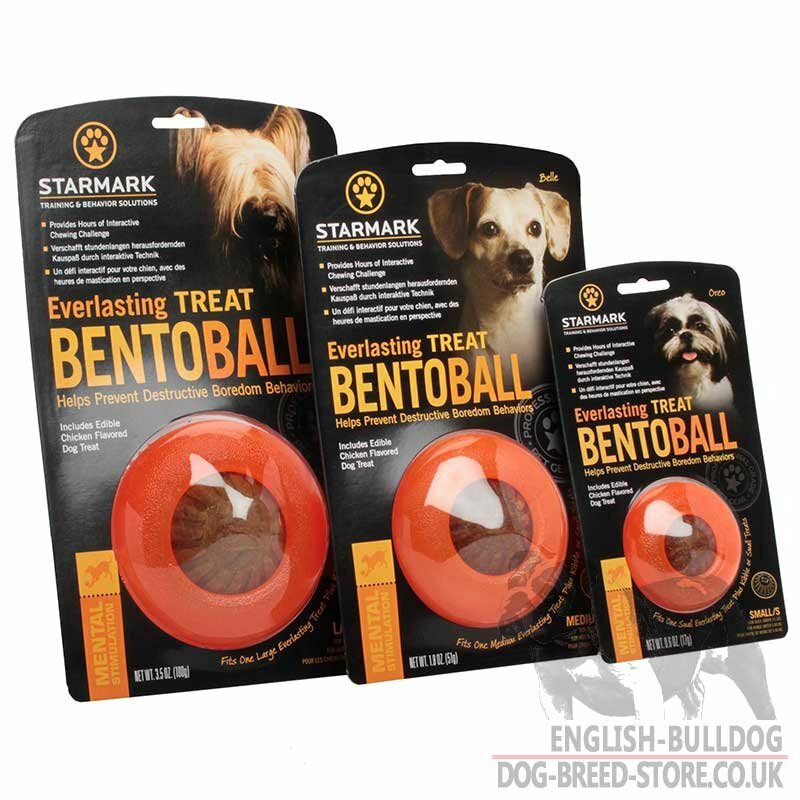 The best supplies for your Bulldog, click on the pictures! Read also about English Bulldog training and care.